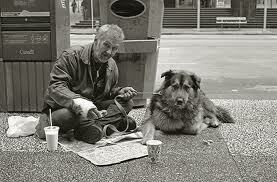 Many Homeless in Sweden Have Animal Companions. Sleeping Bags and Dog Food Are Needed. 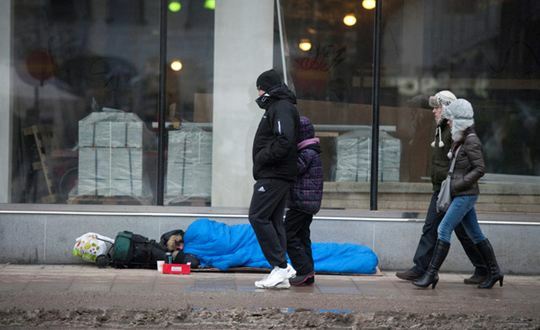 In Sweden there are 34,000 homeless people, according to the latest figures. But a large part of homelessness is hidden, according to a report released by Stockholm City yesterday. The major groups that are not visible in the figures are EU citizens who are unable to find jobs and housing in Sweden, young people who have run away from home and the people who are in a short period of homelessness. The government must do as the Netherlands and introduce a generalized national voice-over-head-guarantee when the temperature drops below zero, says Marika Markovits, Director of the Stockholm City Mission. City Mission recommends several measures, including the government earmark one billion to build homes to help Eu Nationals to establish themselves in Sweden. Many of the Street People in Sweden have cats and dogs as their companions. 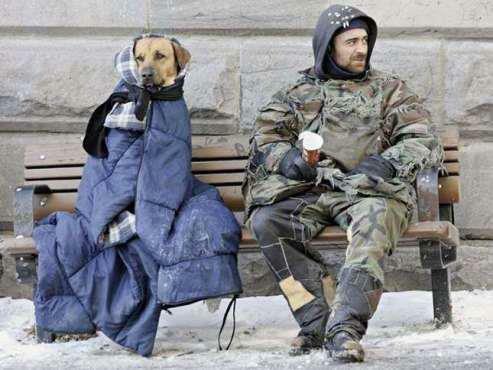 Soon it will be Freezing in Sweden, and the Street People NEED Sleeping Bags just to survive. BLACK LION HOLDING is collecting donations to purchase sleeping bags and food for the Street People of Sweden in the Interim Period while the Government is getting their Homeless Programs in Place. PLEASE CLICK [ HERE ] to watch Video, and Make a Donation of any amount.